The AIS/APRS/ARIS mission uses a modified version of the PSLV-QL rocket's upper stage that allows it to serve as a long-term platform in orbit for experiments. 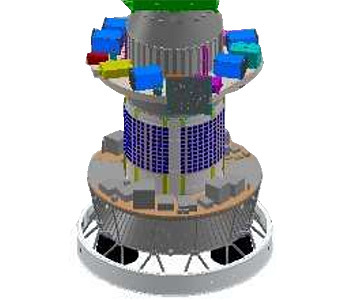 The PS4 orbital platform is envisaged to provide a microgravity environment for research organisations and academic institutes to perform experiments. This PS-4 is the first modified with solar celles to provide long term electrical power to the payloads. ARIS (Advanced Retarding Potential Analyzer for Ionospheric Studies) from Indian Institute of Space Science and technology (IIST) - for the structural and compositional studies of ionosphere.